This subscriber only article appears in the October issue of the Patient Safety Monitor Journal. Review how clinicians and other staff interact with patients who have communication issues, such as deafness or limited English proficiency (LEP). Not only are communication issues receiving increased scrutiny from patients and the HHS Office for Civil Rights (OCR), but your hospital could lose money if fined or sued based on such issues. You could also face a citation from CMS or The Joint Commission, in addition to added recordkeeping requirements. The University of Connecticut Health Center (UConn Health) learned this the hard way. It recently entered a voluntary resolution agreement with OCR and the Department of Justice to resolve a complaint filed by a deaf patient. The patient requested an interpreter at one of UConn Health’s hospitals, but the hospital failed to provide one. The complainant had to rely on a companion to interpret during the hospital visit. UConn Health agreed to pay the patient $20,000 in compensatory relief and to take steps to ensure the availablity of auxiliary communication aids and services, such as tracking all patient requests, incorporating a general assessment evaluation into the patient intake process, and appointing a civil rights coordinator. If a patient with a communication difficulty doesn’t ask for assistance, UConn Health now needs to explain the associated risk the patient as well, says attorney David Johnson with Crowell & Moring in San Francisco. OCR also has imposed burdensome recordkeeping requirements on UConn Health. The health system must label the medical records of patients who are deaf or head of hearing and document when it advises a patient why a particular aid or service is not being provided, says Johnson. Those obligations were not contained in previous settlement agreements. A hospital that fails to provide an interpreter can also run afoul of The Joint Commission. Under the Right and Responsibilities of the Individual standard RI.01.01.03, a hospital must respect a patient’s right to receive information that is understandable, which (under element of performance 2) includes providing a translator when necessary. This is an excerpt from a member only article. 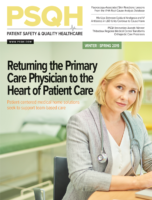 To read the article in its entirety, please login or subscribe to the Patient Safety Monitor Journal.